Towering Journo: Is It A Bird? Is It A Plane? No, It's... A Pig? Is It A Bird? Is It A Plane? No, It's... A Pig? Back to game jams. Here's one that went under my radar these past years - Global Game Jam. Judging by the stats, it's the biggest of it's kind, so it raises a few questions about my perceptiveness. That aside, GGJ12 is ending as I type, and results have already started pouring in. 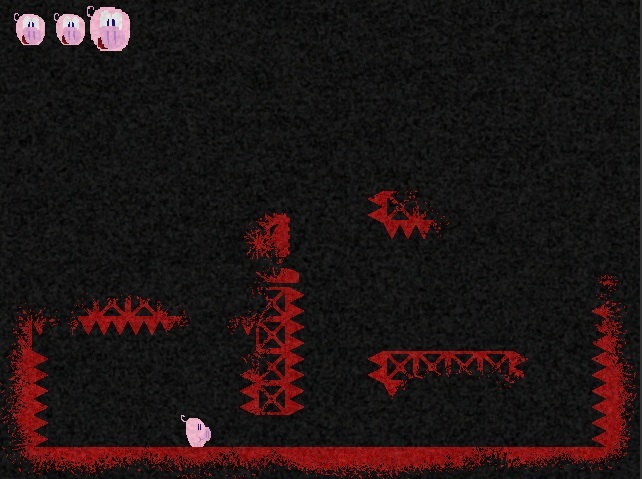 Nikolaj Kaminski put a smile on my face once again, this time with a game called Super Pig. It is a charming and devilishly hard platformer, in which you take on the role of a lovestruck pig. 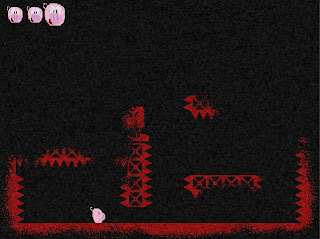 Alas, complete darkness fills the screen, and the eponymous pig needs to kill itself and paint the surroundings with it's own innards in order to find a path to it's loved one. That is the one true way. It takes some skill (precise controlling, that is), a lot of patience, but ultimately comes down to learning the layout of the levels and carefully planning your suicides. And plan you will, since you'll have a limited amount of spare lives for each of the ten levels. The only downside to it are the somewhat random movement patterns of certain enemies. Apart from knowing you've beaten the challenge, there is also an enormously satisfying narrative pay-off at the end, so it's worth finishing even if you do feel the need to quit and bite your useless fingers off. Give it a go.